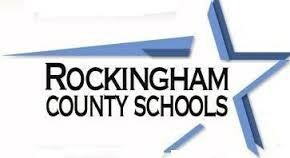 Shelby Rhyne, RC Tennis Executive Tennis Director and Coach Jackie will visit the Adapted PE class at Rockingham County High School. Shelby Rhyne, RC Tennis Executive Tennis Director and Coach Jackie will visit the Adapted PE class at Rockingham County High School. Along with Adpated PE instructor Leslie Mauney, students will have the opportunity to play fun tennis games and learn about this sport of a lifetime.